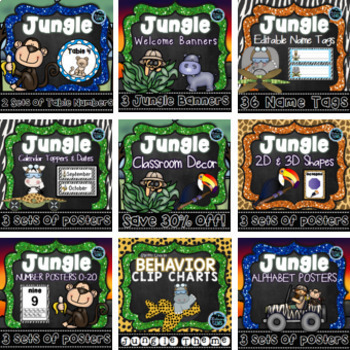 Jungle themed classroom decor bundle is perfect to help set up your classroom. 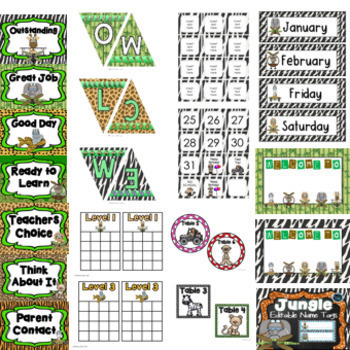 Your students will love the adorable clip art used on the posters and charts in this pack. 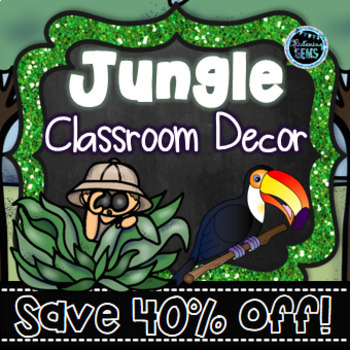 This jungle themed classroom pack is great value for money. Saving you over 30% off if you were to purchase each of the packs individually. This pack includes 10 products combined into one. 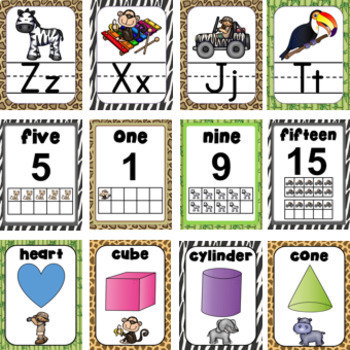 Check out the preview of the bundle to see a sample of what each product contains.